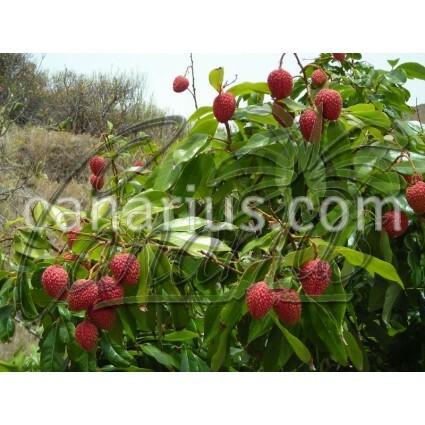 Classic cultivar of Lychee. It is a subtropical evergreen tree native to eastern China where it has been cultivated for thousands of years. The tree has a medium size reaching up to 2-3 m (6-8 ft). The variety "Early large red" has a fruit slightly more than 2,5 cm (1 ") long, usually obliquely heart-shaped, crimson, with green interspaces, very rough, skin very firm and leathery, adhering slightly to the flesh. Flesh greyish-white, firm, sweet and flavourful. It is a moderate bearer, early in season.